It is replaced by the Motorola ET1 Enterprise. Multitask with the ease of a PC. Experience the future right now with the Motorola XOOM, the world's first device powered by Android 3.0 Honeycomb, a platform designed specifically for tablets. The dual-core processor XOOM has a larger screen, more pixels and higher-quality front- and rear-facing cameras than the competition. It also supports Adobe Flash Player 10, for access to significantly more of what's on the web. 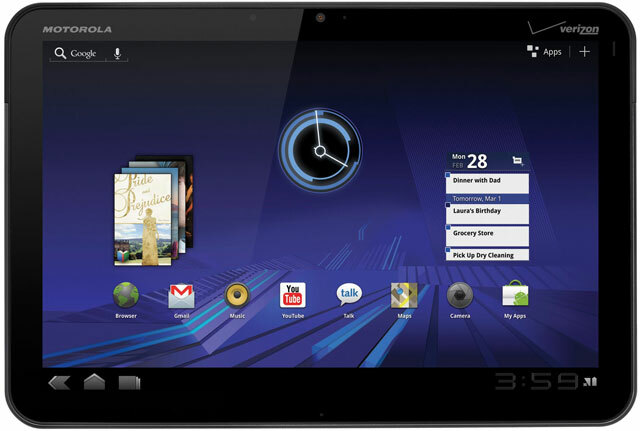 The Motorola XOOM is the tablet for the next generation.